AND WIN A CHANCE at a Monthly $100 PulseTV Shopping Spree Giveaway! 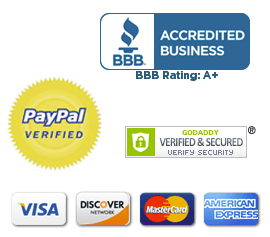 Best of all you'll begin to receive our Top Deals and discounts 3X per week! Input your cell number below and you will also be entered into the PulseTV Shopping Spree Giveaway! number used to join. Consent is not a condition of any purchase. Msg & data rates may apply. View SMS Terms & Privacy. 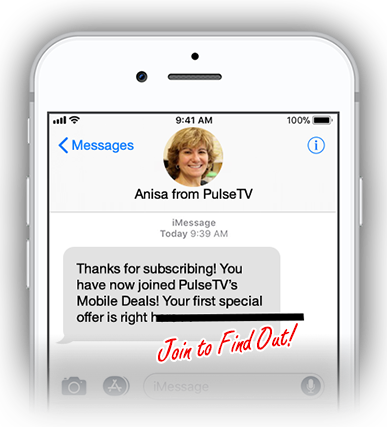 WHY SIGN UP FOR PULSETV'S TEXT OFFERS? You'll get 2 to 3 deals a week sent to your smartphone. * All SMS text subscriptions must be valid and active to qualify at time of drawing to qualify for the monthly prize. All active subscriptions to our SMS text deals are automatically entered in each month's drawing, so no need to worry about signing up again.